TJ Tactical is currently offering classes to anyone who is interested in obtaining a Wisconsin Concealed Carry Permit. These classes are open to all skill levels. The WI Concealed Carry Permit Class is taught to Wisconsin Department of Justice Guidelines. Classes taught by certified WI DOJ Firearms Instructor. For the basic Concealed Carry Permit class no shooting is required. Concealed carry class is a 4 hour class which covers the training requirements that you need to obtain your WI Concealed Carry Permit. Class participants will receive a certificate at the completion of the class which they will need to send to the state along with $50 to receive their Concealed Carry Permit. Cost of class is $89 which includes all necessary class materials. A class is scheduled for Feb. 23 at VFW Post 1865 at 6618 39th Ave., Kenosha. To register for a class click here or call 262-705-5641 or email TJTactical@ymail.com. Cost of class is $89 which includes all necessary class materials. Classes are scheduled for Jan. 19 and Feb. 23 at VFW Post 1865 at 6618 39th Ave., Kenosha. The next flea market will be Sunday, July 1. Hours will be from 7 a.m. to 3 p.m.
Rustic Dairyland Antique Mall is located at 12009 53rd Place (Interstate 94 and Highway 158), in Paris. Rustic Dairyland Antique Mall also is open daily from 9 a.m. to 6 p.m., featuring antiques, collectibles and gifts. Stop by! Petrifying Springs Golf Course is presenting free introductory golf clinics in June. The courses will be coordinated by Robert Dunlap, Club Manager, and Doug Shulski, assistant golf professional. The clinics will be held Tuesdays, June 12, June 19, and June 26, from 6 to 7 p.m., at Petrifying Springs Golf Course. Anyone who wants to learn the great game of golf is encouraged to register to attend. Brighton Dale Links presents a “Club Evaluation and Demo Day” with Nike Golf on Saturday May 5th, from 11 a.m. until 3 p.m.
Bring your clubs to the practice range between 10 a.m. and 2 p.m., and have the professional staff of Kenosha County evaluate your equipment. 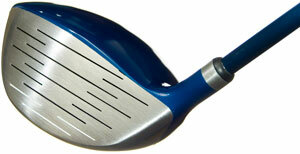 They are offering free club fitting and giving away a free round of golf for every purchase over $500. 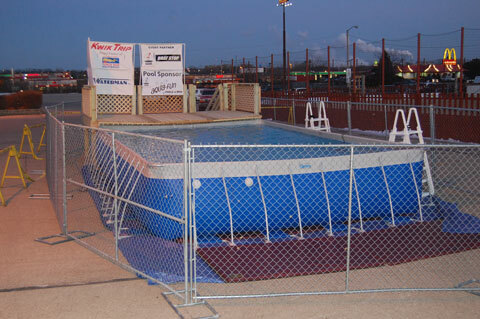 The Brat Stop and Polar Plunge sponsored a Kenosha Area Chamber of Commerce Business After Five at The Brat Stop Thursday evening. The event served as a preview for this Saturday’s Special Olympics Wisconsin-Southeastern Region 13th annual Polar Plunge at The Brat Stop in Kenosha, just west of Interstate 94 on Highway 50. Admission of $5 per person from the After Five was donated to Special Olympics. HuHot Mongolian Grill, 7214 Green Bay Road, Kenosha, is raising some cold cash with a hot fundraiser to benefit Special Olympics Wisconsin’s Southeastern Region. On Wednesday, Jan. 25, from 5 to 8 p.m., local Special Olympics athletes and volunteers will become “Helping Hands” that will cook up a little fun and funds at HuHot Mongolian Grill. Volunteers from Special Olympics Wisconsin will display their grilling skills, assist HuHot’s dining room staff and mingle with patrons, while also raising funds through raffles and souvenir sales. You’ll also have an opportunity to talk to local Special Olympics athletes and hear heart warming stories from volunteers. There’s another outdoor flea market Sunday, Sept. 4 at Rustic Dairyland Antique Mall. Hours will be 7 a.m. to 3 p.m. If you can’t get enough of the up and down and round and round of the midway rides at the Kenosha County Fair, then there are two days you will want to keep in mind. Wednesday, Aug. 17 – 4 to 9 p.m.
Thursday, Aug. 18 – 1 to 6 p.m. 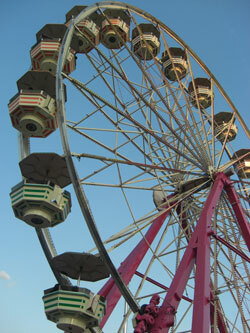 The fair takes place this year from Aug. 17 to Aug. 21 at the Fairgrounds in Wilmot. The sound of the fenders of two cars crunching can be sickening — unless you’re at the Kenosha County Fair’s demolition derbies. There will be plenty of intentional crunching at the Wilmot Raceway on the fairgrounds on Sunday with two demolition derbies — one at 1 p.m. and another at 6 p.m. Families seeking superior K-8 academic excellence through open enrollment are encouraged to schedule a personal Paris School tour from now through Friday, Feb. 25, 2011. Open enrollment applications are accepted ONLY during the three-week open enrollment period, February 7-25, 2011. As the only school nominated in all of Kenosha, Racine, and Walworth counties for the 2011 U.S. Department of Education’s Blue Ribbon Schools Award for top academic achievement in Wisconsin, Paris School provides its students the benefits of a challenging, technology-enhanced curriculum with K-8 focus on educational fundamentals, including literacy, numeracy, and writing across the curriculum. Paris School district is located at 1901-176th Avenue, just three miles west of I-94 off of Hwy. 142 in Kenosha county. Prospective Paris School open enrollment families may schedule a personal school tour or a student trial attendance day by contacting Roger Gahart, Paris School Principal and District Administrator, at (262) 859-2350. Additional information regarding Paris School and the open enrollment application process is available at www.attendparisschool.org.